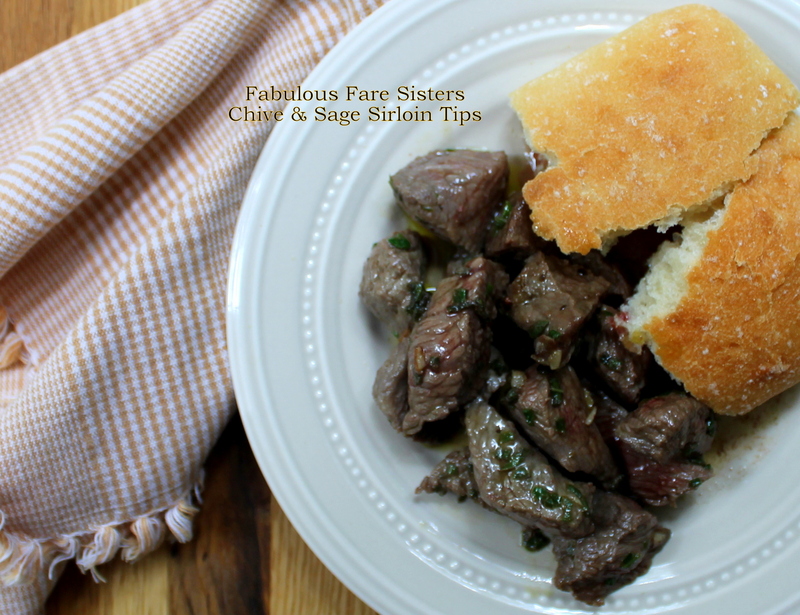 Here’s a really easy and tasty recipe using the simple ingredients of fresh chive & sage and sirloin tips. It’s ready in a flash! I soaked up the juices with some rustic bread and served a salad on the side. Place the chopped chive, sage & garlic in a shallow dish. Add the olive oil, salt & pepper. Toss in the sirloin tips and marinate for at least ten minutes. Heat a large cast iron skillet on high. Drizzle a little extra virgin olive oil into the hot skillet. When it starts to smoke add the sirloin tips and all the marinade to the hot skillet. Saute 3-4 minutes until cooked to your liking. Remove from heat and serve immediately. Soak up the juices with some delicious rustic bread. Serve with a side salad such as Grilled Pear & Bacon, Kiwi-Red Onion & Toasted Pecan, Roasted Tomato Salad or Roasted Asparagus Salad…Yum! This recipe is shared on Senior Salon, Throwback Thursday, Funtastic Friday, FoodieFriDIY, Fiesta Friday and The Pin Junkie….go check it out and then go visit some other great sites! I know at least 7 people who would love me infinitely more if I made this. I am learning to make sirloin. This recipe is going to be helpful! I’ve got sirloin tips in the freezer, and sage and green onions in the garden! (I planted chive seeds but they never came up, but I’m sure green onions will work just fine. ) I know what I’m making soon (if not tonight), thanks! Yum! Simple, but yet so flavorful. Simple and delicious! Thanks for sharing! 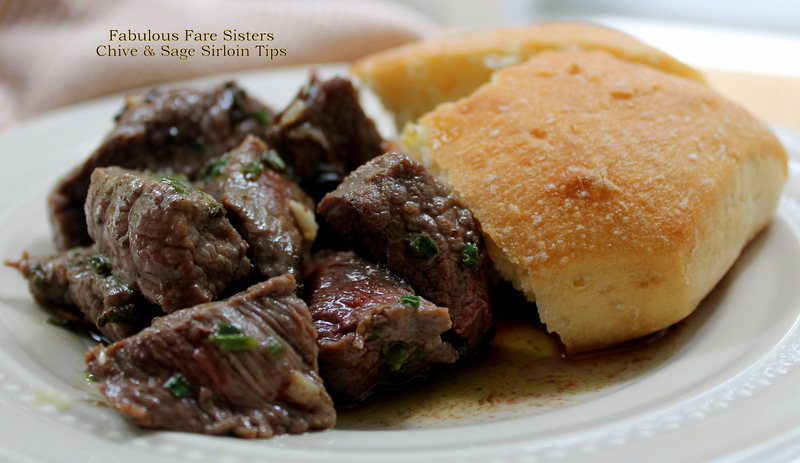 My favorite kind of recipe… simple, flavorful and delicious! Those bits of steak appear to be cooked to perfection and I love the fresh herbs you chose. Thanks for bringing these yummy sirloin tips to the party at Fiesta Friday, Linda! Incredible! Simplicity at it’s finest, Linda! YUM! This sounds yummy and easy, pinned it and will put on my schedule for Fall! Delicious the meat looks so tender and those rolls also look incredible. Six ingredients!! I can do this one! Looks gorgeous! !